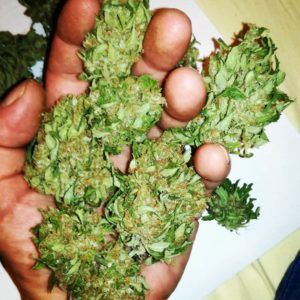 Pineapple Kush may be a cross between two very popular strains, but the popularity it has amassed is as a result of the expert blending of those two strains. Whilst it is sometimes mistaken for Pineapple Express because both share a tropical taste reminiscent of pineapple. 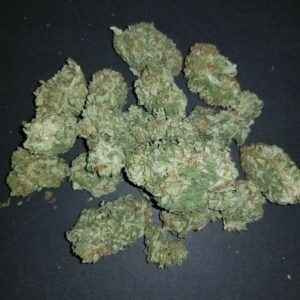 This strain stands out because of the high potency that it possesses as a result of being bred from the well-known OG Kush strain; although it isn’t quite as strong as the original, this strain certainly offers quite a considerable mental high. 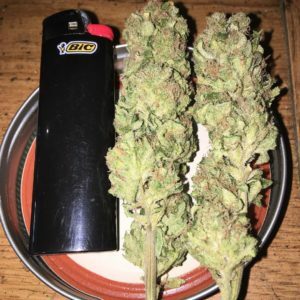 One of the most attractive aspects of the strain is it’s sweet taste, which whilst being quite heavy on the pineapple (as you might imagine), it has been described as having some light mint or vanilla flavour. Smokers have detected notes of caramel amongst the tropical aroma – the fruity scent of this strain is rather strong. 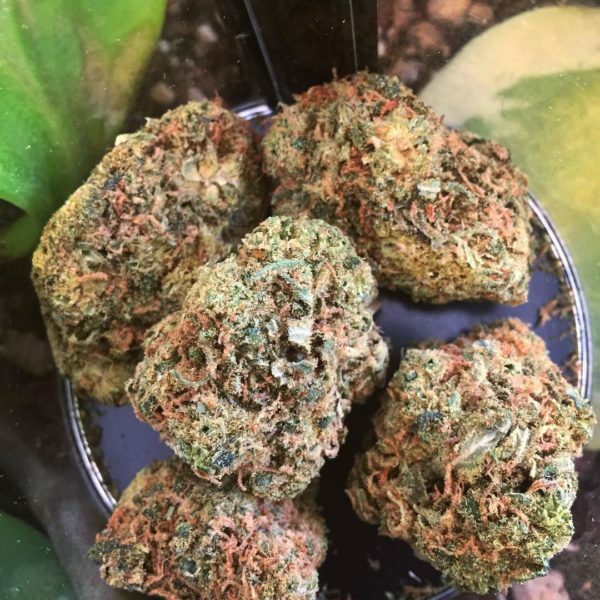 As mentioned earlier, as OG Kush is well known as one of the strongest strains of cannabis, this fruity twist on kush does retain some of that strength – although it’s physical effect is far less pronounced than its parent plant. The mental effects are somewhat comparable, though, making it a very appealing prospect for someone who is looking for a cerebral experience without so much of a physical effect. A well grown plant will reach a height of somewhere between 70 and one 120 centimeters if grown inside , and between 120 and 180 if grown outside . Plants will typically produce a yield of about 500 g per square meter if you are growing indoors or per plant (once dried) if you are growing outdoors. These seeds have been feminized, meaning that your plants will all flower, which will happen after 7 or 8 weeks under normal circumstances. If you are planning to grow outside, the best time to harvest your plant would be the end of September. 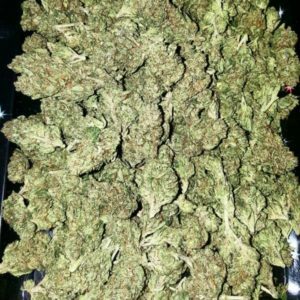 If you are looking for a strain that offers great taste, a sweet smell and a very relaxing head high, Pineapple Kush may be just the ticket. 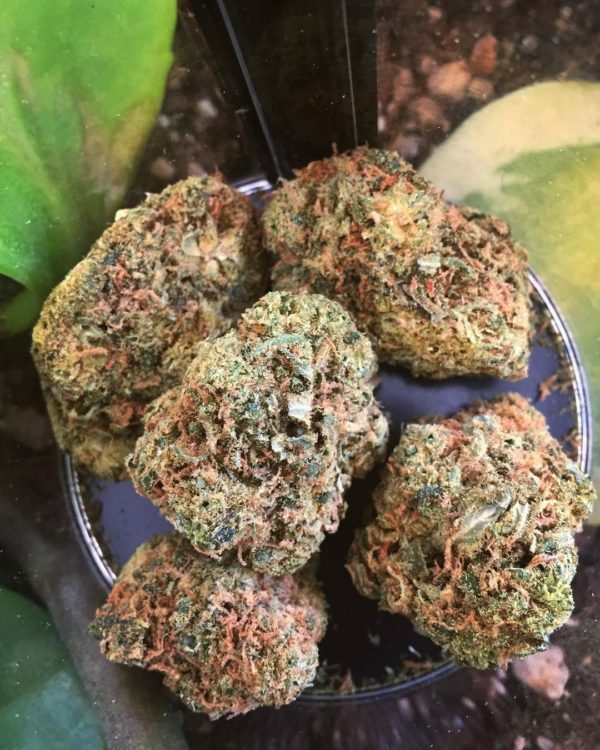 Certainly, fans of the strain would tell you that if you were ever to have the opportunity to try it, this is a strain not to be missed.